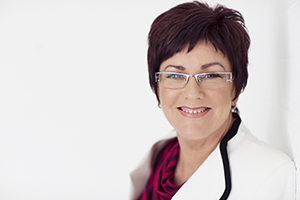 Dr Nicky Howe is an author, leadership and management coach, and CEO of Southcare, an award winning not-for-profit organisation in Western Australia offering aged and community care services. She is this week’s Changemaker. Howe has a passion for building the capacity of individuals, organisations and communities. Over the course of a career spanning three decades she has become a confident leader and experienced senior executive, working across government and not-for-profit sectors in the areas of employment, education, welfare, health, aged care and community services. In partnership with Alicia Curtis, Howe co-founded the Engaging Young Leaders on Aged Care and Community Boards governance program. To date 40 per cent of graduates have secured board positions and more than 20 per cent are completing board traineeships. As a further consequence of their experience the pair were driven to share their findings in a book Difference Makers. Howe is also the author of Better Relationships with Those You Lead, a handbook of practical skills and strategies for leaders and managers. In this week’s Changemaker she talks about the elusive obvious, why her organisation is like a yacht, and why, when the world is falling around you, you have to show up at work the same way. The not-for-profit sector has always had a sense of being on the edge, a bit out there, trying to be at the forefront of really addressing the issues of society. For me, the thing that attracts me to that is it’s a great place to create, to innovate, to really challenge the status quo around how things are and actually saying well, we can do better than that. We can change that or we can create something new, we can innovate. So that’s really I think what attracted me. I think there’s a greater sense of freedom in working in the not-for-profit sector as opposed to working in government or possibly the corporate sector. What do you enjoy most about your job as CEO of Southcare? I think in some ways it parallels. It is a great privilege to be a CEO of an organisation, there is no doubt about that. It is a great privilege because you are again, able to create, to be innovative, to build a business that is valued by community, is valued by the staff, by the volunteers, so I think it aligns for me, really similarly, around why I choose to work in the sector. At times it can be quite a tumultuous environment and I think I like that. I often reflect and think to myself, I’m much better at change and risk and all of that than I am with stability. The thought of things being constant and the same, I’d be bored. It’s not that I’m an adrenalin junkee but I always think that we can get better. I always think we can do more. So that’s probably another thing that drives me. What’s the most challenging aspect of your role? In some ways it is the same thing. I have this sort of analogy about us as an organisation and I think, because we’re medium sized, we’re this sort of reasonably small yacht on what is quite a rough sea at the moment. Particularly, I’m in aged care, so here you are and you’re really trying to navigate through all the reforms, all the changes and you’re really trying to identify the right strategy and also trying to really keep focused around what you’re doing. So the challenge is always, how do you get out there and create the future, while you’re trying to maintain and do the business. I always feel like I’ve got one foot sitting in the yacht and [with] the other one I’ve got to be flying right out on the edge. I’ve got to really be looking not only at my environment and my sector, but what’s going on in the other sectors, what’s actually going on in the world and how can I bring that difference and diversity to what we’re doing, to try and make it better, make it different. I don’t notice it all the time but I must admit I was talking to some colleagues of mine recently and at some point there is a low level of anxiety. And when I notice that I’ve got to say to myself what is it about the uncertainty that you don’t accept? You just have to accept the uncertainty because that anxiety is driven by not accepting the uncertainty. I’ve given that a lot of thought, you know, what does make a good leader. And I think, you hear this word authenticity and I really struggled with this word, about what does that really mean, but I do think that good leaders are being themselves. Because when they’re being themselves and they’re being true, then they give themselves and that’s actually what we need in leadership, we need to give of ourselves, which is the gifts and talents and strengths that I hold, and you will hold different gifts and strengths and talents. So that sense of authenticity, showing up as who you are I think is really important because you don’t have to then worry about putting on some sort of display. If you are always showing up as you then they do trust you because they see you in all your strengths and all your vulnerabilities and all your foibles. I think that that is a really important thing. We talk about, good leaders having a vision and a purpose and I do think that is important without a doubt. People want to know that you are taking them somewhere and that they have got something to look towards so I think that that is a really important thing. I do think think you have to be reliable, I think when you’re not reliable, that immediately breaks down trust. It is a key element of why people trust you, because you are reliable, and you are consistent, you’re likeable. The other thing I think is really important and I really try and drive that, is you have to be able to maintain an equilibrium. So when all the world around you is falling down, you have to show up at work the same way. So for me, everyday I walk into work I say “good morning”, and go round and see everybody, always maintain that same equilibrium even if inside I am thinking to myself “what’s going on” or “they don’t know yet but we didn’t get that contract” so I think equilibrium, our capacity to manage ourselves before we manage others is a core leadership trait. 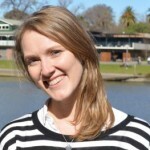 You launched the Engaging Young Leaders on Aged Care and Community Boards program with Alicia Curtis. Why is it important to encourage young leaders in the sector? I think business fundamentally needs diversity. I think we cannot solve our own individual organisational problems or even society’s problems without embracing diversity. We have to have everybody stepping up to the table, so when we leave out a group, whatever group that might be, I think we are completely doing ourselves a disservice, we’re doing our organisation a disservice, society and of course at the core of that is the person we’re not including. So that’s why I think it is so important and I think it is really important to encourage young leaders into our sector because if we don’t, firstly, the sector will just not survive because it just won’t have the people in it that it needs to actually run it. We are one of the biggest industries, not only in our nation but in the world, aged care is a massive industry. I think we need them, because we need them to help us create what it should look like for the future. Our mantra is we want to build a world-class aged care and community sector, that’s our vision and we strongly believe that without bringing young people into that space, it just won’t happen. So you’ve got all these stats and facts around what the business benefits are, what the social benefits are and that’s why I think diversity is so important. What has been the biggest success of the program? It was really interesting, when I reflected on this question, I thought I can throw a whole load of stats, I can say we’ve got 76 people who’ve graduated, we’ve got another 20 who’ve just started, we’ve got over 60 per cent now that went through our program who are on boards as board directors, 25 per cent have undertaken a board traineeship, we’ve got 38 community partners who help fund this program, both financial and in kind, we’ve run eight conventions and we’ve got an online toolkit, we’ve got a book. I can tell you all that. But when I reflect and I say to myself, what’s the biggest difference? The biggest difference for me is that five years ago I had a man call me and say to me: “Are you crazy? What you’re asking me to do Nicky is to suggest to my board that we will put a young person on my board.” And I said” “Yes, that’s exactly what I’m suggesting.” Last year, he signed up as a community partner. They have embraced the program, they want to get a young person on their board. So when I think about this idea of success, I thought to myself the biggest success is we are shifting mindsets. That’s what we’re doing. And it is only through us shifting these mindsets that we actually get all those other things. We can’t get the person on the board or the traineeship or the online tool kit or the convention or the community partners if we haven’t shifted their thinking. So for me, I think that is the big success. That people now don’t think I’m crazy. You know how, when you step out too far your peers think you are crazy and then all of a sudden that step actually doesn’t seem that far anymore. It actually seems the elusive obvious. It’s like “yeah well, whatever mate, it’s pretty obvious, of course you’re going to put young people on the board”, well that’s what they’re saying now. But they didn’t say that five years ago. So that’s the success to me. You have recently written Difference Makers, A Leader’s Guide to Championing Diversity on Boards with Alicia Curtis. What is the main take away you would like to see people get from the book? Alicia and I are very much about action, take action, do something, it doesn’t have to be big, but do something. So our book is really trying to contribute into that space of saying: “Look here’s all the research, here’s all the evidence, here’s some easy ways to do it and here’s some stories of average people that have done it and so you can do it too.” It’s a practitioner’s book. I’m a practitioner so for me everything is about knowing is doing. You can say you know it but have you done it? Get on and do it. Don’t procrastinate. Life is short. You were nominated as a finalist in the 2014 Telstra Business Women’s Awards, how does it feel to be recognised for the work you are doing? You always feel a bit humbled by that recognition, when you stand up there and you get recognised for something you do feel humbled. I felt really appreciative actually. And I also was extremely energised to do more. I think what it does is it makes you, particularly when you’re a finalist, you didn’t win, you say to yourself, “well actually I need to step up even further”, not necessarily to win, but there is more you could do. You can get better. The other thing of course is it gives you exposure to your cause, which is actually why you want to win. You want to win because you go, if I win then more people will know about my cause, because I have got the airspace now to tell them. Through your work what is your ultimate goal? My ultimate purpose is always about building capability and capacity of people and whether that is the organisation, the sector or society. So that is what I’m fundamentally interested in. I am fundamentally interested in people and how you can help them to feel proud, valued, trusted, empowered and committed to achieve. Often my interactions are with staff as opposed to with the customer, but it is for me about those touch points with the customer and thinking, ok how can I empower them, how can I enrich their lives, what is it that I can do to help them along their way. I am quite selfish around some particular rituals that I do, and… that is that whole thing of self-management. I wake up in the morning, do a few stretches, I always go for a walk with my dog. My morning time is very important to me, so that is my time for exercise and wellbeing and reflection, to try and just reflect what is going on. I’m not a girl who misses a meal. I think there are some fundamental things about keeping well and maintaining your wellbeing and they are really basic things like diet and exercise. Look, I do like a glass of Shiraz. So I do make sure I make time for myself, I do have that down time. I do yoga and mindfulness, I will go on retreats. I don’t need a filled weekend, I’m full during the week. You need down time. And my husband and I we love playing pool, we play pool, we’ve got a competition board and so I think it’s some real basic things. If you don’t [make time for yourself] that’s when you can’t maintain that equilibrium. If you start missing meals and eating junk, you don’t get enough sleep, you don’t exercise, then you’re really not showing up as your best self and so then, can you do the day?